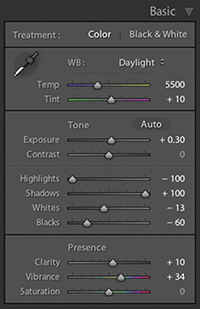 Martin has worked with the Adobe Photoshop and Adobe Lightroom engineering teams over many years and is one of the founding members of Pixel Genius, a software design company producing automated production and creative plug-ins for Photoshop. His recent books include The Adobe Photoshop Lightroom 4 Book, Adobe Photoshop CS6 for Photographers, as well as the Adobe Photoshop for Photographers: The Ultimate Workshop series, which he co-wrote with Jeff Schewe. 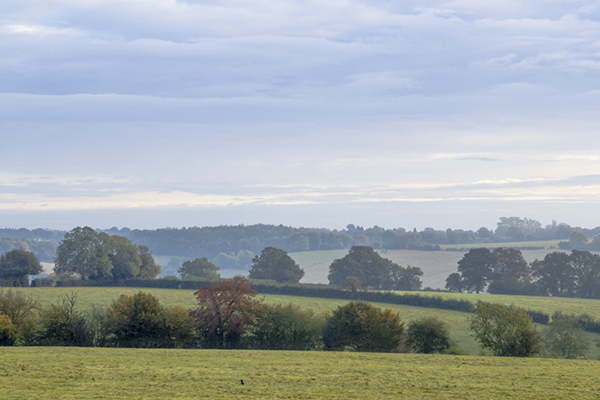 adjustments in Lightroom to correct the tone and colour in this first image. 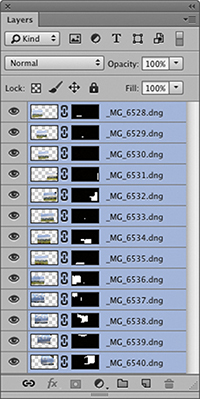 In Photoshop, I then went to the Edit menu and chose Auto-Align Layers. This opened the dialogue shown here. 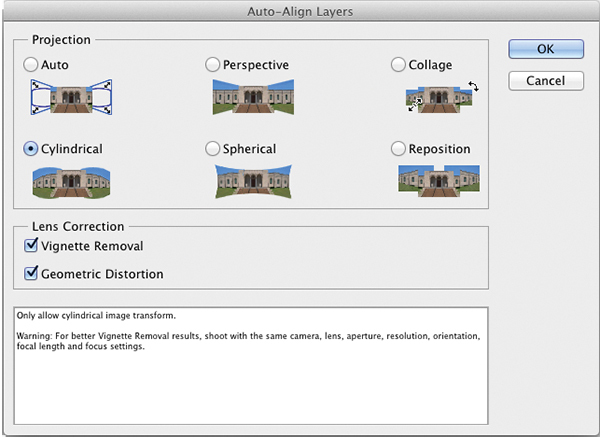 Very often the Auto option is the best one to choose, but because I was Photomerging a wide panorama I selected the Cylindrical projection method. Here you can see the outcome of the auto-align processing. The horizon line was kept nice and straight, and all the layers merged together successfully. 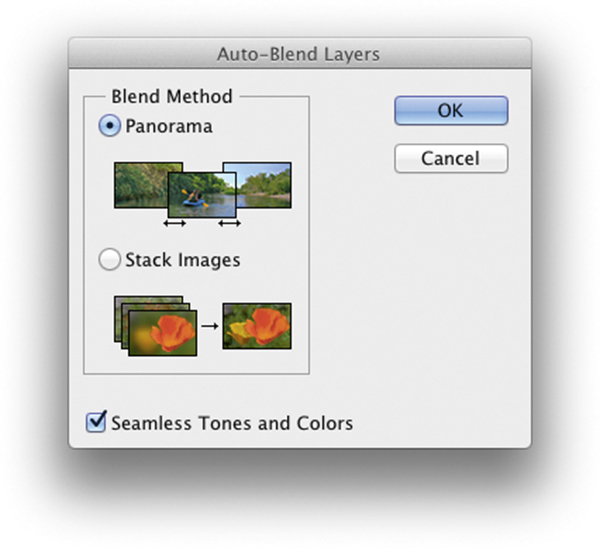 chose Auto-Blend Layers, where I selected the Panorama option. This process blended the individual layers together and added masks to the layers. 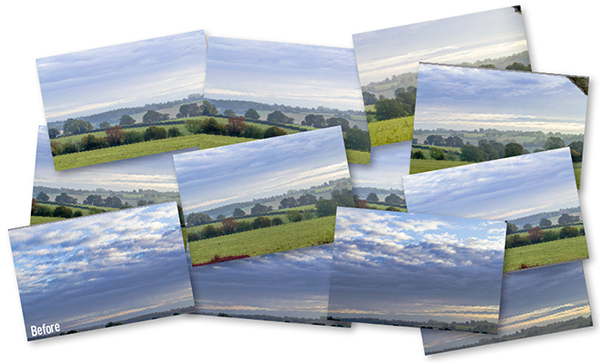 Here you can see how the panorama looked after blending the layers and merging them into a single Background layer. I now needed to erase the overhanging roof section. 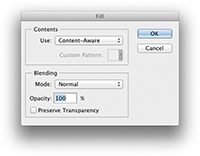 After doing this, I selected the Magic Wand tool, clicked to select the transparent areas, and chose Select>Modify>Expand, entering a value of 8 pixels. 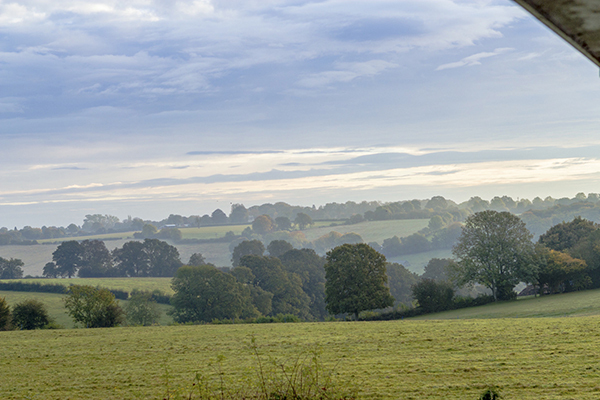 Here you can see the final image in which the content-aware fill had filled in the transparent areas, auto-sampling from the pixels in the panorama image to create a convincing fill in the sky area.